UK genre titles Cockneys Vs. Zombies [pictured] and Tower Block, both written by James Moran, to be distributed by Shout! Factory. Leading multi-platform entertainment company Shout! 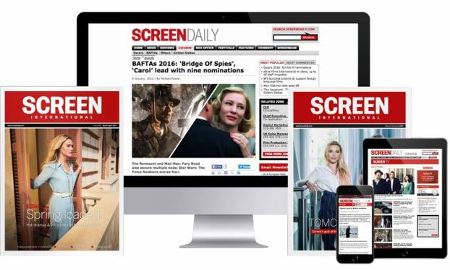 Factory have agreed an exclusive multi-picture deal with SC Films International. As part of the deal, Shout! Factory distribute UK genre titles Cockneys Vs. Zombies, directed by Matthias Hoene, and Tower Block, directed by James Nunn and Ronnie Thompson, in the US as well as Canada for Cockneys Vs. Zombies. Both films were written by Severance writer James Moran. The announcement was made by Shout! Factory’s founders Richard Foos, Bob Emmer and Garson Foos and Simon Crowe, managing director of SC Films International. Shout! Factory plans a strategic rollout of both titles on all packaged media, electronic sell-through, video-on-demand, subscription video-on-demand, television and selected theatres in 2013. “We are excited about this new relationship with Simon Crowe. We look forward to bring these highly entertaining films to North American movie fans through a variety of entertainment distribution platforms and physical home entertainment releases,” commented Shout! Factory’s founders. “SC Films is delighted to announce US distribution via Shout! Factory for both Cockneys Vs. Zombies and Tower Block. The producers and I are very excited by the enthusiasm shown by the Shout! Factory team, and we hope this is the start of a long term relationship,” added Crowe.